To protect the chat from devastation. 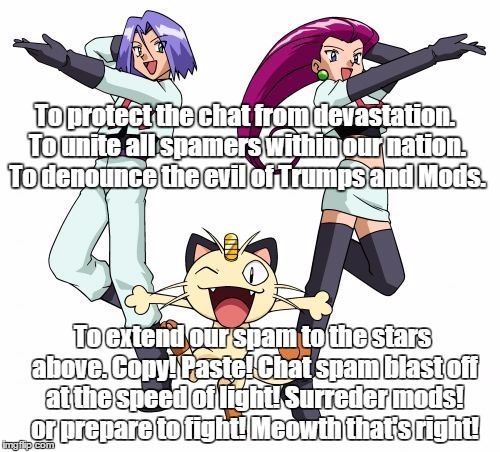 To unite all spamers within our nation. To denounce the evil of Trumps and Mods. To extend our spam to the stars above. Copy! Paste! Chat spam blast off at the speed of light! Surreder mods! or prepare to fight! 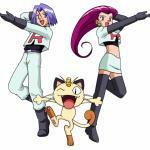 Meowth that's right!